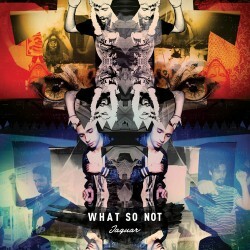 What So Not – "Jaguar"
Australia is quickly becoming the new Canada. Artists like Emoh Instead and Flume are building bangers so big, they’re putting waves on our shore. Together, the Australian duo is known as What So Not. They’ve grown a cult following into so much more by keeping a strong web presence and building bangers so big, they’ll put cities underwater. “Touched” was one of their first collaborative tracks and sounded like a conversation between the two artists, but “Jaguar” is seamless. Opening with arpeggiated synths and female vocals that break with a reverbed kick into a chant and build, and the trap bass after the break is something you’re going to want to hear. “Jaguar” has all the staples of a What So Not track; it’s frenetic and galvanizing but not without its moments of lucidity—most of the layers drop away and leave the female vocals center stage. Here’s where you catch your breath.